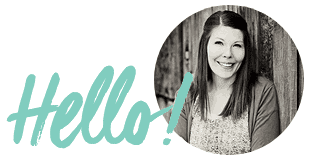 I’ve ween working on this post for weeks and I can’t wait for you to read it today. How to make freezer smoothie bags (the easiest smoothies ever!) is going to make your life just a little bit easier and just a little bit healthier. I started making these smoothie freezer bags a few months ago and they have totally changed my smoothie game! Here’s the details on freezer smoothie bags. You essentially put everything you need for your smoothie, minus the liquid, into a plastic baggie and you pop the whole things in the freezer. When you want to make a smoothie you just add the contents of one bag to your blender, add one cup of milk (I like Almond Breeze), and then blend until smooth. The idea isn’t all that complicated but here are some of the reasons why I love it so much. 1. You can prep a whole bunch of smoothie freezer bags at once and the work is all done. I normally make 6-8 at a time. Make the mess once, enjoy for days. 3. It’s the perfect way to use up fruits of vegetables before they get old. Did you buy a big bag of greens and they are starting to get a little old? Normally half that bag would slowly turn to slime in the vegetable drawer, but this way you can use it! Make a whole bunch of freezer smoothie bags before your greens get old. Same thing goes for old bananas… the ones that are starting to get old taste extra sweet in a smoothie. I waste so much less now that I make these bags! 4. The smoothies taste better because they are extra cold because everything is frozen. 5. You don’t have to have a high-powered blender to enjoy these (though they are wonderful…). 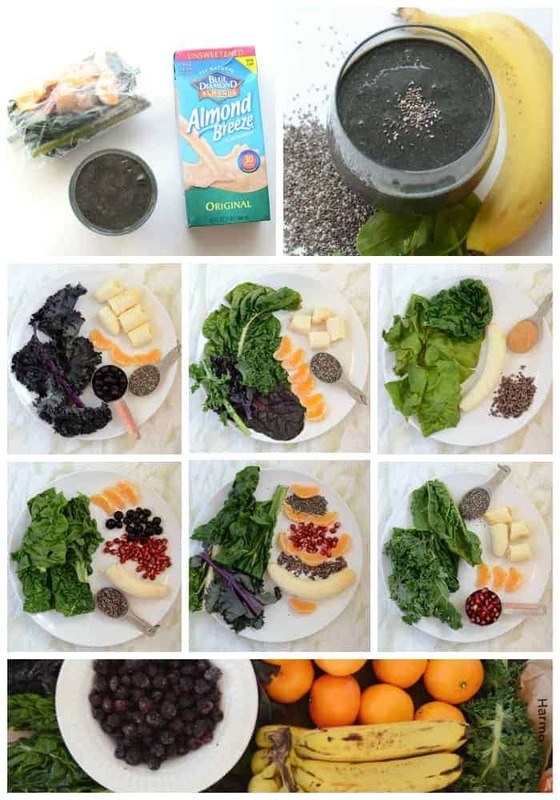 Just cut your smoothie ingredients into smaller pieces for easier blending! I’d keep most pieces under an inch square in size if using a traditional blender. My mother in law was having some health issues this fall and she wanted to go on a special diet (very restrictive) to see if eliminating things would help her feel better. I did a bunch of meal prep for her to help her out, including a big collection of freezer smoothie bags. Before this fall she had never even tried a green smoothie. Now that the diet is over and she’s feeling better, she has stuck with making a smoothie every morning because it’s so easy. I make her a dozen freezer smoothie bags once a month or so and she enjoys them when she wants. She’s not going to get everything out and do this on her own, but when it’s all ready to go and all you have to do is add some almond milk, there’s nothing to it! I’m working with Blue Diamond today, specifically their Almond Breeze almond milk, and I couldn’t be more exited. It’s a staple in my house and you can find all kinds of their products in my kitchen right now. What you put into your freezer smoothie bags is up to you! 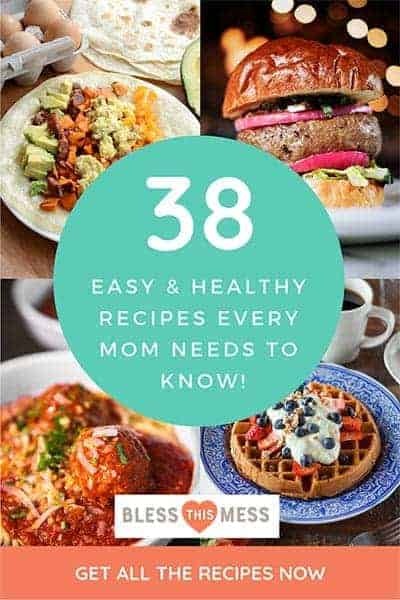 You have a lot of wiggle room which means you can use what you have on hand, what is in season, what is on sale, or what you know you are going to love. I highly encourage adding greens to your smoothie bags because I’m all about eating more vegetables and I love green smoothies. If you aren’t ready to try that yet, you don’t have to though! Swiss chard, kale, and spinach are my go-to greens. If you can get the small “baby” versions of these greens they’ll be more tender and mild. Baby spinach is the most mild of them all and if you are new to the green smoothie game I’d start with a little of that first. I like the “baby” versions of all of these too because they make great salad greens. Buy a big bag and eat a little for breakfast in your smoothie and then eat more later in the day in a salad! I don’t measure much, but a normal sized handful is about what you’ll need. If you are using larger kale or chard you can chop them a bit to make them fit in your bag better and blend better. I added the stems of the big kale and chard I used in the pictures to my bags and they blended up great. If you aren’t using a high power blender, like a Blendtec, you may want to leave the tough stems out (chop them up and use them like celery in something fresh! ), because pulpy stringy smoothies are pretty much disgusting. I put at least a half of banana in every smoothie bag because bananas are sweet and they add a really great creamy texture. I think every smoothie needs banana! After that you are free to use what you have, what is in season, and what is on sale. I try to keep a big bag of organic frozen blueberries from Costco in my freezer at all times for smoothies. I also like using oranges this time of year because they are so naturally sweet and delicious. The sky is the limit here. Remove peels, skins, and stems that you don’t want to eat before adding them to your smoothie freezer bags and cut or break the fruit into small pieces for easier blending. These are things that are, well, extra! 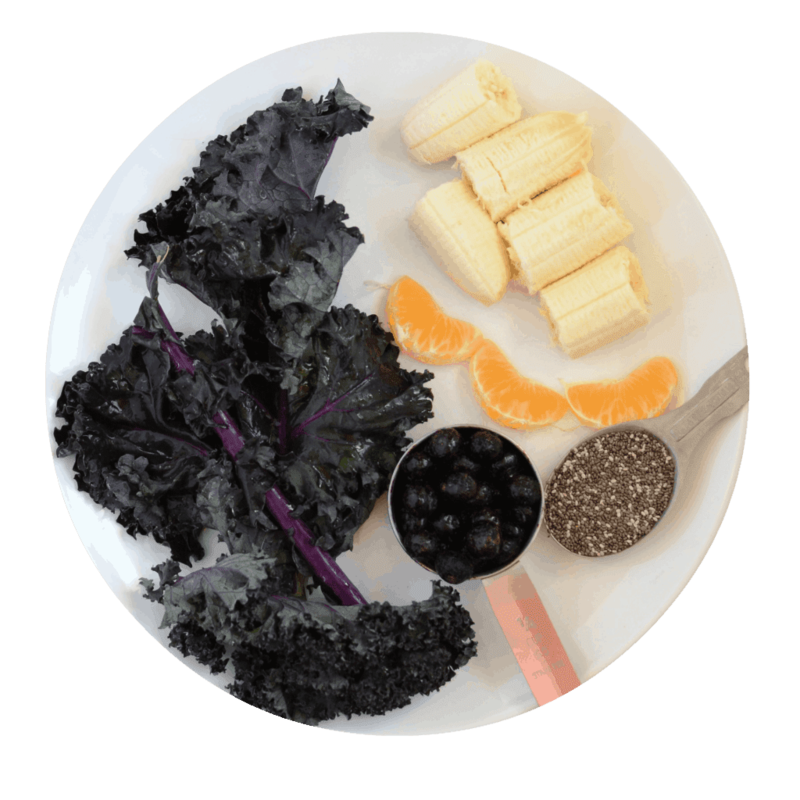 Do you remember my Smoothie 101 post? I talk a little bit about the “extras” that I use if you need more info. Here are a few things that you might want to add to your smoothie freezer bags for added health and/or flavor benefits. Nut butters, chia seeds, hemp seed hearts, half an avocado, cacoa nibs, flax seed, raw shelled nuts, spirulina, honey, greek yogurt, or maple syrup. I normally add a few tablespoons of assorted extras. These things generally add extra healthy fat to your smoothie as well as flavor. I think adding that fat is really important because it means the smoothie is going to keep you full longer. Add what you need to a plastic baggie, close the top, and pop them in the freezer. Done and done! A bag that is about 3/4 full but not stuffed makes 2-3 cups of smoothie when it’s all said and done and I consider each bag one serving. When the craving hits add the contents of one bag and one cup of almond milk to the jar of your blender and blend until smooth. Easy! I use Almond Breeze almond milk for blending and it’s delicious. If you are new to smoothies I would get the vanilla flavored Almond Breeze because it is lightly sweetened and makes the smoothie sweeter. I enjoy the unsweetened Almond Breeze Almond Milk and at 60 calories per cup its a vitamin and mineral packed punch without adding too many calories. Just about any milk/liquid will work if needed. You can add a little more than a cup if your blender is having a hard time blending things. 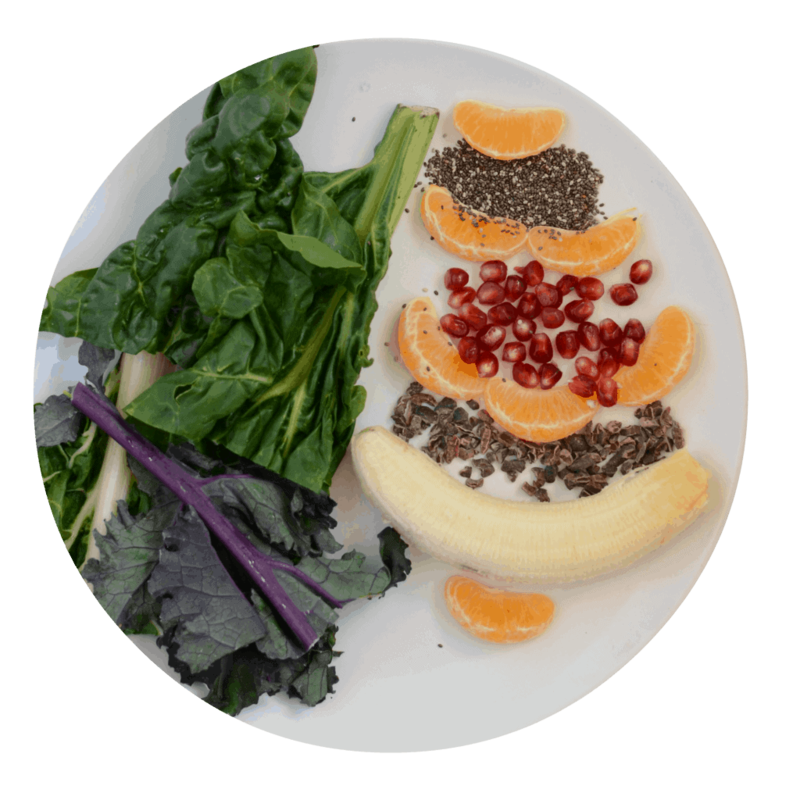 Cassie from Wholefully posted 8 Stable Smoothies You Should Know How to Make and it’s a killer resource. 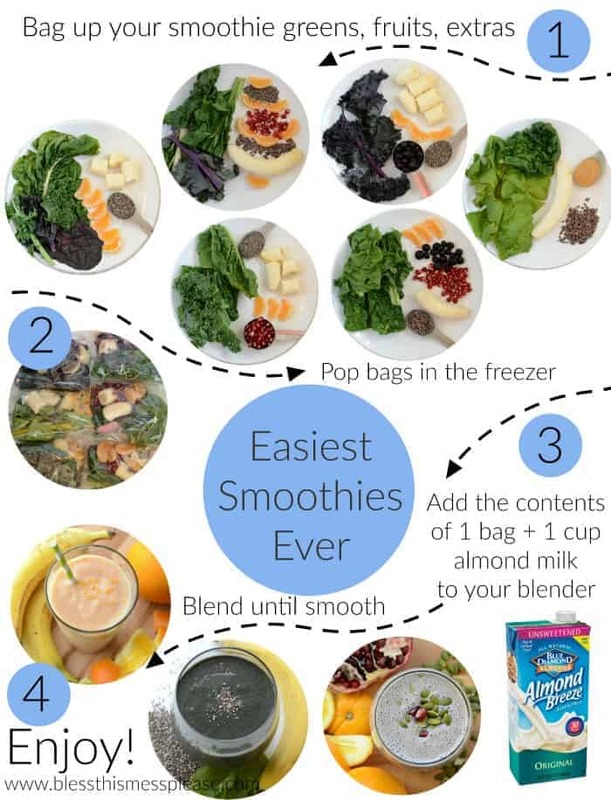 Lots of her little smoothie combos would work perfectly for this easy make-ahead freezer smoothie bag approach. 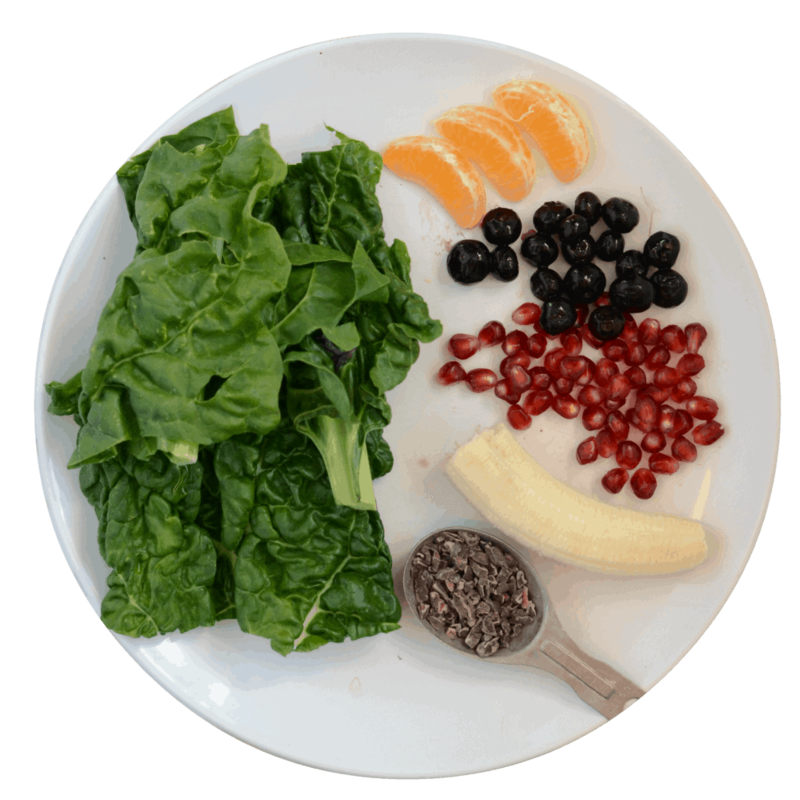 Plus, she doesn’t add tons of greens, so if that’s more your jam, check it out! Healthy meal prep makes reaching your goals just one step closer and this little trick is going to become a staple in your house! 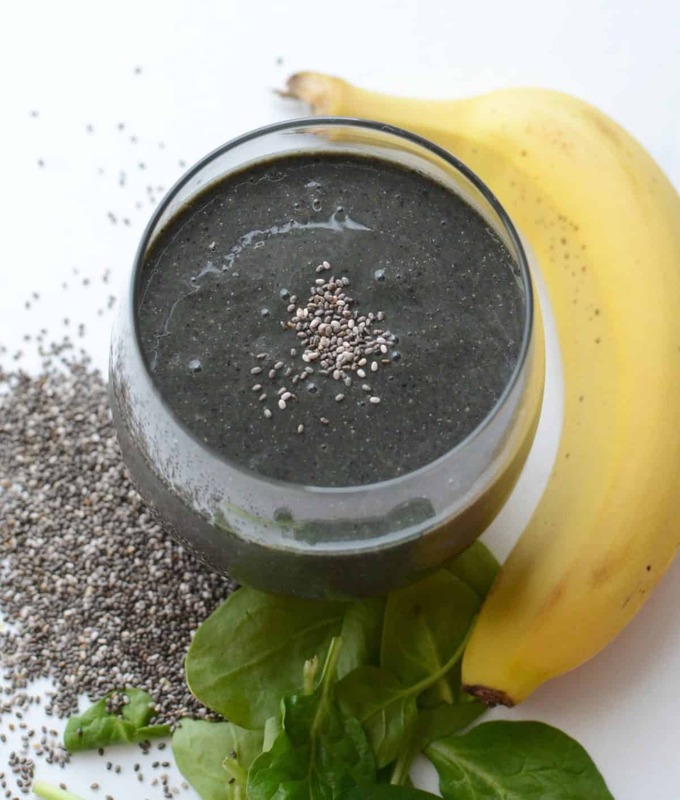 The best and fastest way to make healthy smoothies! Add all of the smoothie ingredients to a bag, close, and freeze (see post for details, tips, and tricks). When you are ready to make a smoothie add the contents of one freezer smoothie bag plus 1 cup almond milk to the jar of you blender and blend until smooth. Enjoy right away. And because video is all the rage, you know I jumped on that wagon! It’s my first (well second if you count this debacle), it’s short, it’s sweet, and I’m pretty excited about it. Subscribe to my brand new YouTube channel to catch all the videos coming at you in the future. I’m working on a farm tour! Seriously though, isn’t this great!? I hope that this is something you start doing and that fruits and vegetables start finding themselves in your diet a little more every day, one smoothie at a time! Disclosure: Today’s post is sponsored by Blue Diamond and I’m so excited to be working with them this year. Thank you for supporting the brands that help make Bless this Mess possible. I love smoothies and for the last few months have been making at least 1 a day. Thanks for sharing. I now have some new ideas. I make these frequently -freeze the banana but never thought of freezing the whole thing–so much easier, Thank you so much for this! I really dislike pulling out my blender often, making my smoothie, then having to wash the said blender. What has helped me…… I make up a bunch of smoothies, pour them into wide mouth pint jars, leaving an inch of headroom. I place the jars in the freezer with the band fairly loose just in case there is any excess expansion from freezing. The next day, I will tighten the bands down. I usually have two previously frozen smoothies in the fridge at all times. Most of the time, I add a wee bit more milk or water before drinking and give it a good shaking. A cold smoothie at my finger tips, although not slushy. Drink one, pull one from the freezer. I have read they are good for approx 3 days in the fridge. Now, when I don’t have enough stuff for a batch session, I will baggy up…thanks for the idea! That’s such a great idea! I want to try this for quick mornings on the run! 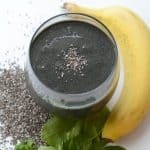 When it comes to my blender I just add a little water to the bottom of the jar once I pour out my smoothie, pop it back on the base and let it blend for a little bit. It swishes the water around really well then I give it all a quick rinse and let it dry. I rarely wash it with soap and water because it just doesn’t need it! If I wait and let my smoothie dry on the edges though it horrible to clean! I LOVE green smoothies, although I’ve been too chicken to add anything but spinach. I was assured romaine would work once and tried it, and it just DID NOT agree with me. This is a great idea, but I have a question. I tried adding frozen spinach to my smoothie once and it tasted nasty unpleasant, whereas I have never had that problem with fresh spinach. Do you think this is because I didn’t freeze my own spinach and just used the prebagged store spinach? I already add everything to my smoothie freezer bags EXCEPT the liquid and spinach…having the frozen spinach be as palatable as fresh would take out that extra step…would be nice. Did you add just normal frozen spinach (that comes in the block from the store?) or fresh spinach that you froze? The frozen spinach from the store has been blanched and that cooking process does make it yucky in smoothies. I think you should try this method because I promise you’ll love it! 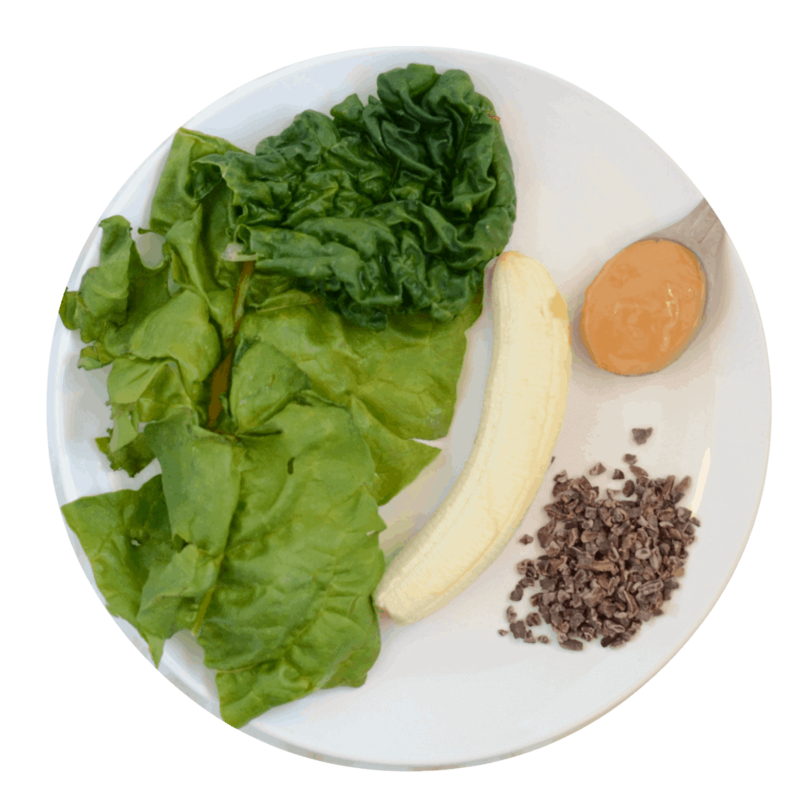 I just used the prebagged raw store spinach for these smoothies and it’s great. Let me know if you try it! I have thought about doing this before, but I was wondering if it was safe to put uncooked greens in the freezer. Any idea where to look this up? Ok, I did some digging and most people don’t recommend it because of texture changes (aka it turns to green slime when you thaw it). I think if it’s safe to eat it raw then it would be safe to eat it frozen, I can’t think of any risk associated with it at all. Ok, thanks for taking the time to look it up for me! Yummy! What great ideas thanks! ? ? At first the whole thing looked too daunting but I loved how it turned out. Not only was the work way easier, I knew what was in it and knowing how much healthy stuff I was drinking just made me happier. Thank you for this. I blend a big batch of smoothies and pour into Ball brand re-washable freezer “jars and stack them in the freezer. Get them out of the freezer in the morning and by mid morning or lunch – they are ready to drink! Grab and go and no wasted baggies…a bit more “green”. Melissa …thank you for such a great idea about making smoothie bags. I’ve recently frozen fruit in large bags then picked out what i want in the smoothie. But your way sounds so much better. I try maing my smoothie for lunch …so i wont be tempted to eat to much bread. It seems to help keep me satisfied till dinner. Thank you for your smoothie recipe book…can’t wait to try some of them!